On Easter evening, after an amazing Easter Morning and a fun, family afternoon, Jenny and I just callapsed. Partly from our physical exhaustion and primarily from our emotional and mental exhaustion. As a break from 5 Sunday Worship Gatherings, and an afternoon full of fun, laughter and, of course , grandchildren…we were ready for some down time. We enjoyed an interview of Pastor John Gray. In the interview, John Gray threw two statements out that truly grabbed my heart. “You cannot be an extension of that which you do not honor.” Man! That’s good! If you choose to not honor your boss, you’ll learn to honor a pink slip. If you choose to not honor your spouse, you’ll learn to honor a divorce court order. If you don’t honor the law of the land, you’ll learn to honor a jail cell. If you do not choose to honor the Lord, you will learn everything else the hard way. To put Gray’s statements to the test, ask yourself today – what do you honor? If you truly want the blessing and covering of the Divine, you will choose to honor Him as THE authority in your life. Honor Him and just wait for Him to honor you. If you want the Divine to rain blessing after blessing, and grace after grace – HONOR HIM WITH ALL YOU ARE, HAVE AND LOVE. 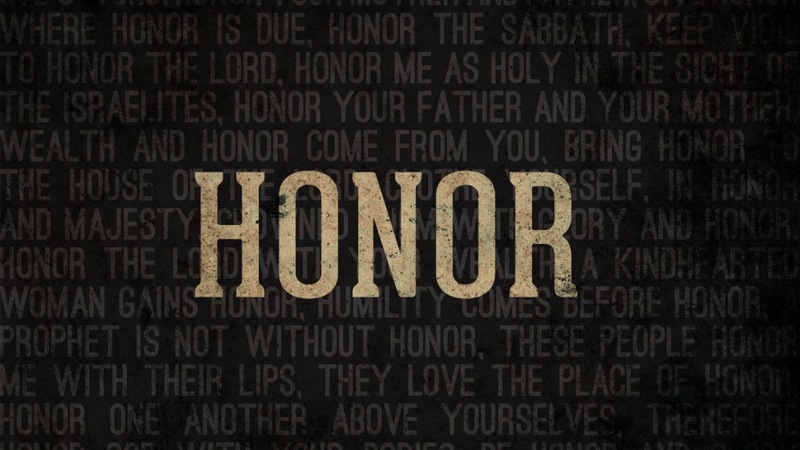 What do you honor? The answer to that question will determine your Monday, your week, your year, and just might change the trajectory of your Life!